Before you arrange the wedding pictures, you need to decide the kinds of frames that you like to use here. There are many styles of frames. You can choose the ones in modern, traditional, bohemian or eclectic design. The shades of the frame can be suited with the theme of the wall. You can have it in chocolate brown, gold, silver, white, or metal accent. You can use the funky frames if the pictures are sophisticated and edgy. Now you can decide the space that you want to use to locate the wedding pictures. You can measure the available space so that the wall never looks cramped. It is okay if you can make a layout arrangement for the wedding pictures. Then you hang the pictures. If you want to enjoy funky style, hang them in edgy position or asymmetrical style. 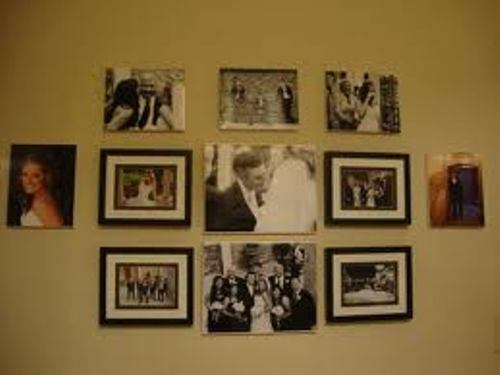 If you want to make the wedding pictures unique, have different sizes of wedding pictures on the wall. You can make a collage here. 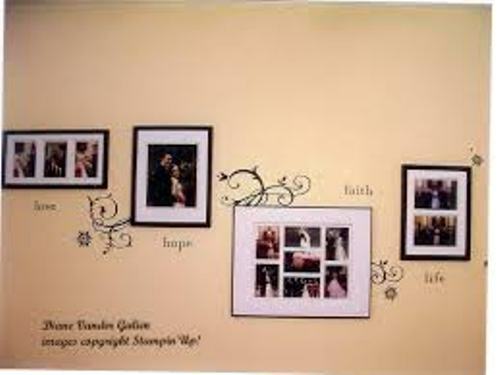 One of the unique ideas on how to arrange wedding pictures on the wall is by making a family tree. You can have photos of the family from different generation to display on the wall. Use it as a focal point in the living room. You can place it on the wall above the fireplace area. 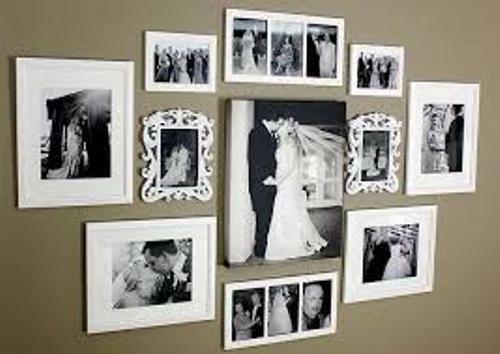 To enjoy the retro feeling on the arrangement of wedding pictures, you can hang the black and white pictures. Frame them using the edgy black framed. You can have the pictures with a hook on the wall. If you want to make it into an album, get ideas on how to arrange wedding photo album here. 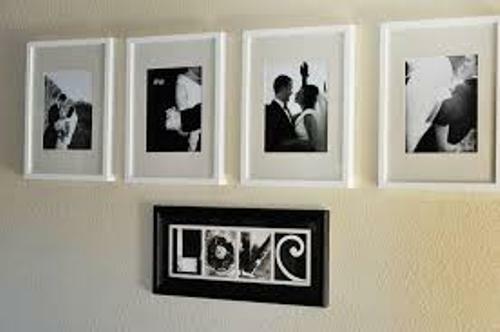 Do you want to add tips on how to arrange wedding pictures on the wall?